Unique Landscaping has 20 years experience crafting ideal outdoor getaways using tree trimming, tree removal, stump grinding, landscape design, walkways, fencing, irrigation, retaining walls, patios, pergolas, and more. We’ll quickly clear the way to keep your property safe and beautiful. After a tree removal you are still left with the roots and stump. The most efficient way to get rid of those unwanted roots and tree stumps is with stump grinding. You can use the mulch from grinding the stump to fill in the hole removing the need for new topsoil. Since the root is ground and replaced there is no root to pay to have hauled off. 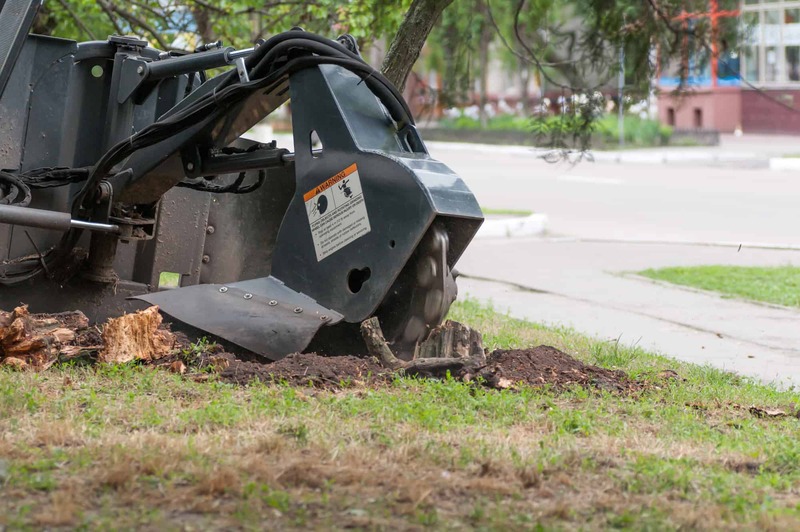 Once having a tree removed it is important to also have the stumps removed in order to limit new insect activity, to reduce unwanted growth, and to improve the landscape and the overall appearance. Our stump grinders can handle any size stump and if your stump is in a hard to reach area we also have smaller grinders that can tackle the job. Give us a call today and we will get to work making your property look just the way you want it to!